Freemium mobile operator FreedomPop announced today that it has received $30 million in new funding from Partech Ventures, DCM Capital and Mangrove Capital. The new funding is in addition to $17 million it received earlier from DCM, Mangrove and Atomico. 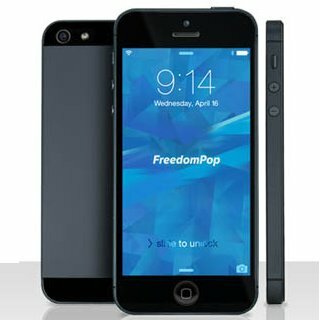 FreedomPop is also expecting to obtain more new funding in the coming weeks from an unnamed major technology company. "We received several M&A offers, but we ultimately decided it was premature to sell on the cusp of exponential traction. Following on accelerated growth and our pending global expansion, we are confident we will create massive value within the next 12 to 24 months at which point we could revisit exit options." Stokols said FreedomPop is on track to have more than one million subscribers by year end. It's expanding internationally and will launch service in the United Kingdom this summer and in an additional European country later this year. He also said that FreedomPop, which currently uses the Sprint network, is planning to add service on a second US operator next year. FreedomPop, which launched October, 2012, offers free data service for phones, tablets and mobile broadband devices. The company's free plan for phones includes 500MB of data, 200 minutes of VOIP calling and 500 messages. There's also $20/month plan with unlimited calls, messaging and data (throttled to "3G" speeds after 1GB). Last month it began offering Premium Voice, a $3.99/month plan add-on that lets customers to make outgoing calls on the Sprint voice network when data connection quality is too low to support VOIP calling. Turned down all offers because it was not close to that $1.4 billion payoff that Skype got from Ebay, which then threw up to Microsoft. At the time, it was hard to see how Skype made money. Now, the same with FP. Except FP has all these crazy practices that drive people nutty and will, one day, into courts. Tried it, most of the time call quality on a scale from 1-10 was about 2. Did not like it at all, would not recommend, even for free service. Those hidden fees and gotchas is what has kept me away from Freedompop. I mean what kind of company operates like that. Maybe now they can cut out all those types of practices. That said, FP can be a very good deal for light users; if they are informed consumers who know exactly what they are getting into. Their C/S is well, nonexistent! To navigate the website you have to give up an e-mail and an address, WTF? You have to Op out of everything? Screw FP! I've had their free plan for awhile and wouldn't recommend it if you need reliable service. Their app that is required to make calls is a HUGE battery hog and drains your phone within hours. I use it mostly for the free data and as a backup in case I don't have coverage with my main phone, but I don't know how anyone could recommend them as a primary service unless the pay plans are better quality. I had a horrible experience and that is with my tempered expectation. I got a LG F3 and it was working quite well, but suddenly with 2 days of receiving the phone, they pushed out a new version of the app and it wrecked the ability to receive calls. I reverted back to the default version by reset the device, but Google Play keeps updating to the newer but defective version. I tried to disable auto-update, but the custom ROM FreedomPop installed would fore auto-update anyways. Attempted to contact support, but no answer. Attempted to contact customer service, on answer. Shamed them on social media, then I finally got someone that answered me. Instead of fixing the issue or refund me, they keep dragging the issue on and on without closure, hoping I would burn through the return period. I then turn up the heat and they finally authorized the return. They then dragged their feet on issue a return label. More emails and constantly pinging them later, they finally issue a label. The return service is the slowest service available, and it took more than 10 days for it to return back to the warehouse. Freedompop then sat on the return without issuing refund. I continue the constantly emails and updates on my tickets, and they finally and reluctantly agreed to issue the refund. Think the issue is done? NOT SO FAST, they try to short change my refund and hold the refund of the sales tax. More phone calls and emails and they claim they never charged me sales tax but they did. I had to provide my credit card statement showing they actually charged sales tax and threaten to report this to State of California franchised tax board, or the IRS, then they finally agreed to provide full refund. I had a horrible experience and that is with my tempered expectation. I got a LG F3 and it was working quite well, but suddenly within 2 days of receiving the phone, they pushed out a new version of the app and it wrecked the ability to receive calls. I reverted back to the default version by reset the device, but Google Play keeps updating to the newer but defective version. I tried to disable auto-update, but the custom ROM FreedomPop installed would force auto-update anyways. Attempted to contact support multiple times, but no answer. Attempted to contact customer service multiple times, but no answer. Shamed them on social media, then I finally got someone that answered me. Instead of fixing the issue or refund me, they keep dragging the issue on and on without closure, hoping it would burn through the return period. I then turn up the heat and they finally authorized the return. They then dragged their feet on issue a return label. More emails and constantly pinging them later, they finally issued a label. The return service is the slowest service available, and it took more than 10 days for it to return back to the warehouse. Freedompop then sat on the return without issuing refund. I continue the constant emails and updates on my tickets, and they finally and reluctantly agreed to issue the refund. Think the issue is done? NOT SO FAST! They try to short change my refund and by not refund of the sales tax. More phone calls and emails and they claim they never charged me sales tax but they did. I had to provide my credit card statement showing they actually charged sales tax and threaten to report this to State of California franchised tax board, or the IRS, then they finally agreed to provide full refund. I don't know why people keep using the FP app to make voip calls. Dump it and use Google Hangouts. I had the Free 200min/200text application, 3x they took the number associated with the account away from me for no reason and no explanation. I go to use the service and I had no number and the first two times I had given the numbers out. No response to e-mails, I would not use this company if it was the last cell service on earth! Now I can't even get them to delete the accounts. Who would give these asshats 30 million? Radio Shack always served me well and I never had any problems with them that could not be resolved. I can't say that with Freedom Poop! I have a FP mifi and a FP phone, the company has always treated me fairly, I read the mouse print and I know to be vigilant. I use them both to supplement my other services (mfi to save on data and phone as a dedicated GPS and to check email, etc). I did not expect voip to work, so I knew that going in. I did want data. Turns out pretty good for getting 10 down and 4 up. The family likes it as well. Google Hangouts is a great replacement on the phones. So, for $25 (covers the $20 activation fee so phone is $5), I got a decent phone, 1.5 Gb of data. Not bad. But when there is a problem, getting help is like pulling teeth. I still can't believe FP keeps getting funded. Obviously the partners at DCM, Mangrove and Partech have never actually tried to sign up, port a number and then use FP. If they did they would have nothing to do with FP. Even for free, it's not worth the effort. I spent just over three months and around 30 hours on hold and over 60 hours dealing with tier 1 and tier 2 tech support and the development team. Number porting alone took 5 weeks, even though the FCC says it must be done in 1 business day. VOIP never did work, even with something as basic as an iPhone. The real problem is that the founders and partners are really just in it for the BIG payday which they can smell and they're just waiting for the right exit point. The offers are too low right now for them to exit when they can smell the really big bucks not too far down the road. The company is set-up mainly to have the appearance of a company that has a good product and the appearance that they know what they're doing. They do not. They outsource nearly everything - from number porting to development to customer service, etc- and just have a small staff in the LA office. Most calls just go to the two contact centers in Manila and the other one in Chennai. Even the supervisors have a hard time getting in touch with the other groups. There is essentially no direct management between the departments. It's a total mess with everyone pretty much on their own. As a result, the product stinks. Badly. Run, don't walk, from FP. To be fair, all of these companies get really bad ratings from customers including pageplus and them. But if you know a little bit, it works out. Actually, a little more than a little bit. For example, one does not have to deal with a person to get going on pageplus. Not completely true with FP, but almost possible. I have been a customer of FreedomPop since October 21, 2012 and used 3 of their modems over time. In the first year under beta, there were a few software bugs that affected me, and I had to write a ticket and wait 3-5 days for an issue to be fixed. I returned the iPod sleeve, and they deducted for original shipping and a small charge for usage, which was disclosed in their Terms (but not the amount). My rollover data disappeared once, and they restored it promptly. I take a screen shot of my balance every month, just in case. They charged me in error for a small overage once, and provided a refund, letting me keep the cash balance from the charge. Overall, I am very satisfied. I currently pay $7.48/month for 3G and rollover ($7.98 for new orders), and have a balance of several GB, which I use for travel and as a family backup for FIOS (which goes down 2-3 times per year for us and is a little complicated to restore). We still have Sprint WiMax service at the house, and now LTE. I will upgrade to a LTE modem this year and keep the Overdrive as a backup. FreedomPop works very well for certain kinds of people. You have to have realistic expectations about the level and speed of support you will get for a "free" service with 1M customers. You have to be patient enough to wait the normal 3-5 days for a ticket to be resolved, and organized enough to follow up if necessary. You have to invest time to read and understand the Terms, and study the webpage screens very carefully. Others, particularly the impatient, will be better served by Karma, in my opinion. Their new LTE modem makes them an attractive choice if Sprint coverage works well. freedompop is not dumb-proof. thus making it a failure with most people who are not techheads. everyday regular people will not scrutinize the problems with using freedompop and will not persistently work through problems. the real general public would not want freedompop. only a few sucker nerds are willing to endure the pain when tackling freedompop. the rest of the world would rather have freedom away from this painful awful service. I think it's funny people keep think one you dramatically lower his/her expectation with FreedomPop and their behavior is acceptable. FreedomPop wants to have pay-customers or otherwise they wont' survive. For me, I was more than willing to pay for a half-decent phone that's usable but not as good as AT&T/Verizon, at a good price, as a personal phone to supplement my work cell phone. No matter how flexible I am, they cannot meet my lowest expectations. If they don't change their behavior, they will risk going down. 5) Turn off auto refill unless you plan to use more than the data included with your plan less 100 MB most months and are willing to pay 2-2.5¢/MB for overages. In two years use with 2 devices I've had no service interruptions. I had 3 billing issues early on which were resolved in my favor via email or the forum. Good suggestions Dennis. You're right, data only with FP and as a back-up service. VOIP is just something they cannot do reliably. Frankly, they should be more upfront that your voice minutes are not going over the traditional regular 'voice' network of Sprint but rather VOIP over cellular data or WiFi. A company like RingPlus, which also has a free service over Sprint, actually works for voice calling. With FP you can get voice, text and internet to work over WiFi and also text and internet to work non-WiFi but forget about reliable voice non-WiFi. If you're on the road don't expect to get or make any voice calls over their 'voice' network with your main phone number attached to your FP account. "FreedomPop, which launched October, 2012, offers free data service for phones, tablets and mobile broadband devices. The company's free plan for phones includes 500MB of data, 200 minutes of VOIP calling and 500 messages. There's also $20/month plan with unlimited calls, messaging and data (throttled to "3G" speeds after 1GB)." There's been a lot of complaints regarding the $20 month plan throtted to 3G speeds. They are throttling to 128kps speeds and this type of false advertising should be reported. At best, after 1GB on this plan, you are throttled to below dial-up speeds. Experienced all the issues mentioned. Data and text are great. It's spotty for Voice calls and it gives the caller on the other end a horrible echo which drives them nuts. Good luck with support - they don't know how to fix it. They are just not ready for prime time yet. I use the phone for data only as it is nationwide coverage. The hot spot is only about a 100 mile radius of your address. I would pay for 2G voice if it would work. Hello Dennis, or anyone. I am thinking of getting FreedomPop WiFi, to use since Cricket cut off the tether. I see reports that one of these is outdated junk? Which device will be the best? The Freedom Spot MiFi is a 3G/Wimax device, WiMAx is shuting down in November. The 803s is 3G/LTE but it's only single band (1900 Mhz band 25) which means slower and with less coverage than a tri-band device would have. The 500 is triband but it has severe stability issues. None of FreedomPop's current hotspots is worth buying but the 803s is probably the best of the three. I hoping FreedomPop releases something decent soon.